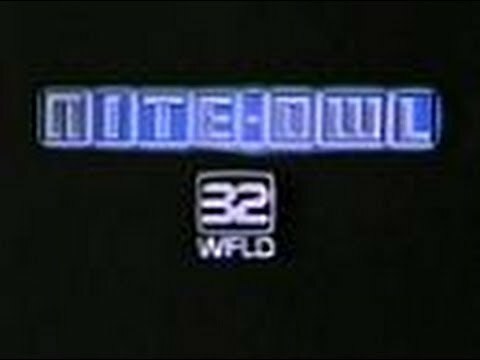 When other stations were signing off, WFLD kept going. And I remember the reason behind it. People started working late or coming home after 2nd shift and wanted some news. This was a way someone could come home from work, sit down with a drink and catch up without any political bias. Great memories. I was a member of the Bullseye Club for the show's short life. 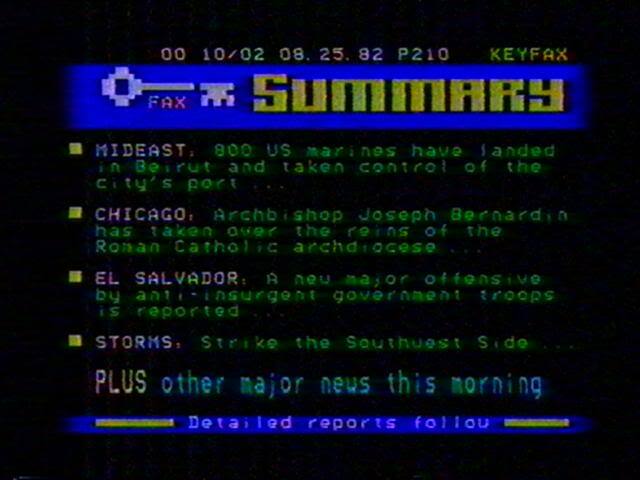 Each hour, there was a segment devoted to games, e.g. 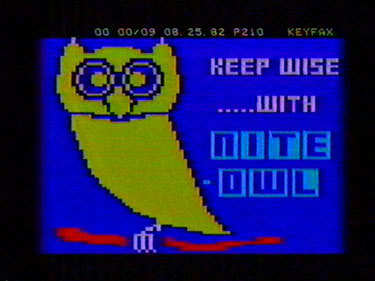 trivia, and the mascot of the segment was known as the Nite Owl Trickster. His block-graphic flying saucer would land onscreen and he would emerge and wave. Bullseye Club members received a certificate (signed by the Trickster)and a button. 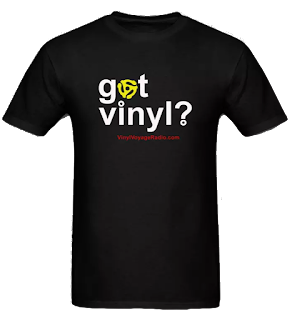 Members were also supposed to periodically receive promotional items, but I don't think that ever happened. I also had a fan letter that I sent quoted onscreen during the show, a real thrill in the early 80's. Unfortunately, they tried to scale up too quickly by transitioning to a subscription model with a separate decoder box which would have given viewers the ability to dial up individual pages on demand, also an impressive feat for the time. However, the demand for the pay service was hugely overestimated, leaving the company with only a fraction of their projected subscribers. The handful of cable providers that offered the service dropped it after a few months, and Keycom's remaining assets were absorbed by parent company Centel. 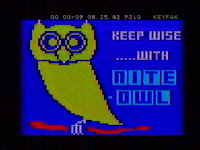 If you're a serious tech historian, here's a link to an excerpt from New Scientist Magazine from July 22, 1982, about the technical workings of Nite-Owl. Pretty complex by 1982 standards. 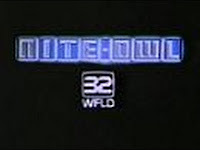 Thanks for sharing that link, any Nite Owl fan needs to read it. And how funny to remember a time when TBS wasn't a household name. I remember this from my senior year of high school. I competed in radio speaking on the speech team, and since I had to be up really early anyway I got my sports and weather info for my script from Keyfax. 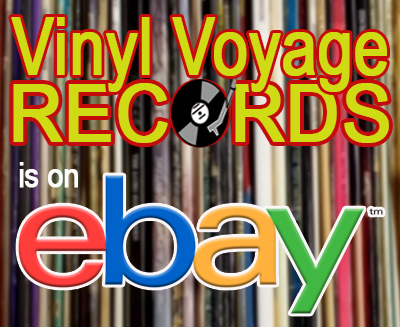 Gotta love the groovy easy-listening and yacht rock music that accompanied the telecasts. Three songs I definitely remember include Poetry Man by Phoebe Snow, Really Wanna Know You by Gary Wright and Touch Me When We're Dancing by the Carpenters.